Another bustling few weeks down at the Zopa offices! 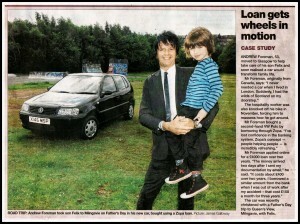 In the news, we got a lovely spot in The Herald thanks to our borrower in Glasgow Andrew Foreman, who used his loan to purchase a used car to get him around the “wilds of Scotland.” Andy sent us this cutting of the article which features him and his son with their Zopa loan car, again a big thank you for doing this! 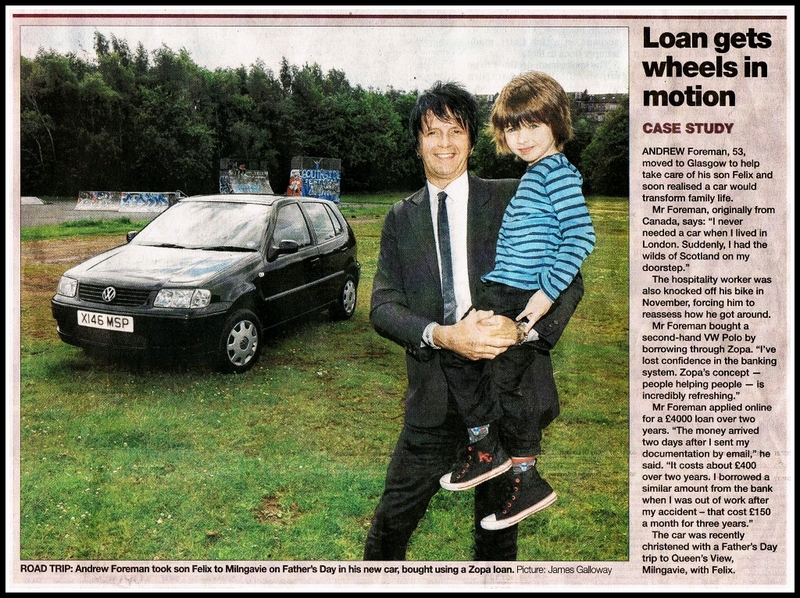 We can’t get enough of hearing what you use your Zopa loans for so send your stories over to me at beth@zopa.com. The past fortnight has seen another scandal of epic proportions from Barclays this time, as chief executive Bob Diamond steps down in light of the government investigation into the bank trying to manipulate inter-bank lending rates. With all this banking bother we asked our Facebook friends what they would do to make the industry better and the comments were predictably great.